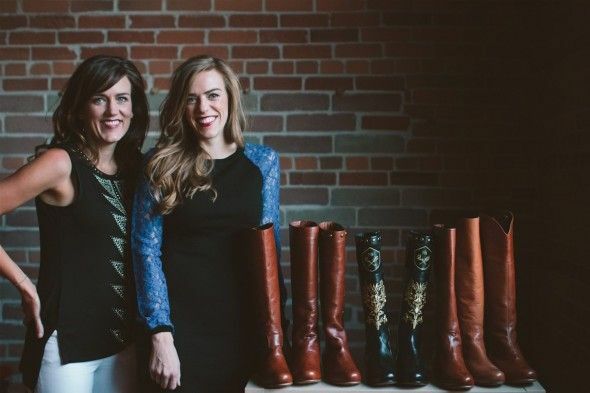 I had a chance to visit Poppy Barley, one of the startups that graduated from Startup Edmonton. I think they also got investment from Flightpath Ventures the pre-seed fund managed by Ken and Cam. Talking to the founders got me thinking about Retail business, Poppy Barley is a shoe company, that started with niche cases of handcrafted to the buyer’s design and made to fit women shoes and boots. They have grown to now sell shoes just like any shoe company. They have also expanded to make shoes for men. They have a store which also serves as their office and they mentioned to me that their online sales and retail sales are almost equal now. Not only that, their customized shoes and boots are not the main business, they are selling regular shoes in almost the same volume. The business has been growing and it looks like the founders are in their groove. I believe they have a chance to really build a much stronger online presence and build a larger fanbase than the 8k followers they have on their facebook page. I am pretty sure their shoes would be very popular in Iceland. So, what is this disruption in retail that I am talking about? well, anyone wanting to do Retail now can start with an edge/niche case, build a fanbase and use word of mouth of that fanbase to create a strong brand, without the overhead of actually having a physical retail store. Of course your product needs to be great and you need to make something your users loves. Having a physical retail store is a liability in the early phases. This is the disruption. I am referring here to non-perishable goods. I believe that online behavior more or less mimics the physical behavior, if one thinks about retail stores, specialized stores more or less lost out to general stores which carried many things. Anyone thinking about making physical products should think very seriously about building an effective online retail presence before actually going into the stores. The buyer behaviour has changed. Everyone now searches and research online on their Mobile phone before going into a store. I also believe that online marketplaces are going to disrupt ecommerce. If you are trying to sell through your website without distribution through a Network, you will have a tough time getting traffic to your site. I think Ecommerce 1.0 is done, we are starting on Marketplaces 1.0. I think Online Marketplaces are the Malls and your website is your store front. You will probably start to see more sales coming from marketplaces than on your website. This is the second disruption that is happening. While I have been thinking about this, I saw a discussion this morning in CNBC about how Walmart is trying to catch up to Amazon. The first thought that came to my head was not a chance in the world. The talking heads in CNBC were saying that Walmart has 15000 physical stores and that was an “asset”, I could not believe what they were saying. Having 15000 physical stores is not an “Asset” it is a huge overhead and liability. Compare this to Amazon, which is now starting to do 1 hour delivery of anything you buy in Amazon in select cities. How is Walmart going to compete with that? Their option is to let you buy online and you need to drive to their physical store to pick up what you bought, well that is not convenient is it? I think it is a matter of time before Walmart will start shutting down their stores. I am not predicting but it should not be a surprise to anyone if that happens. I think if Amazon opened a physical store now, it will be popular. I think Amazon has captured the mindshare of the retail customer. They can easily make the physical store experience better than Walmart. Do you still think Retail has not been disrupted?